‘WPOWER’ which has been a flagship offering by National HR Network – Bhubaneswar Chapter. was back in a stronger and sharper avatar, after a brief hiatus. The theme for International Women’s Day 2019, is “Think equal, build smart, and innovate for change”. Keeping the same theme in mind, WPOWER ’19, focused on innovative ways by which gender equality can be advanced,women empowered, particularly in the areas of social protection systems, access to public services and sustainable infrastructures. Dr. Santanu Rath, President NHRD, Bhubaneswar Chapter and Dir-HR, OMC delivered the welcome address. 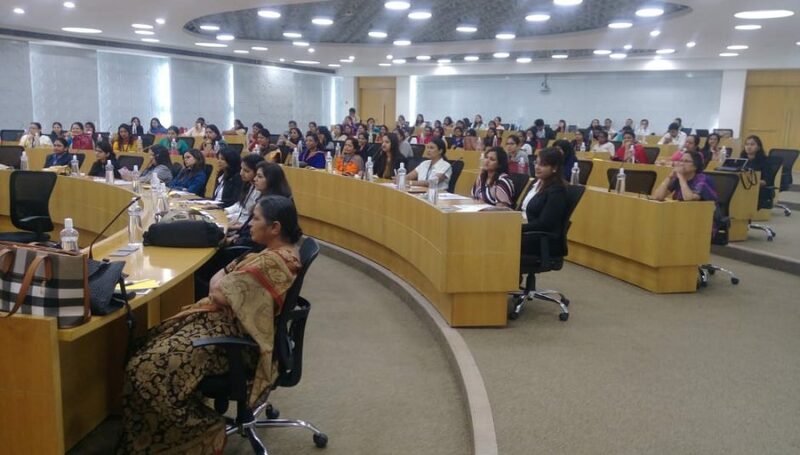 Ms. Bobby Patnaik, Vice President, NHRD-Bhubaneswar Chapter and HR Business Manager, Infosys set the context by emphasising the importance of inclusivity in diversity. Her words encouraged the audience to think ahead in terms of creating a bigger canvas for oneself with future in view. Ms. Geeta Venkateshwar Rao Goti, Independent Director, NSIC Ltd was the key note speaker. She spoke about how to think equal and encouraged the audience to implement the learning in practical life. The next speaker was the guest of honour, Dr. Sruti Mahapatra, CEO of Swabhiman. The ever cheerful lady talked about the indomitable power of a woman. The inspiring trailblazer has created her own story and learnt to live with it. The first session concluded with Dr.ShradhaPadhi, Secretary, NHRD Bhubaneswar Chapter and Professor, KSOM giving the vote of thanks. A Panel Discussion on ‘Innovate for Change’ was the next event. The eminent panellists (from L to R) were Rosalin Patasani Mishra, leading social activist; Prof. Anil Bajpai, Director-KSOM Anshul Bafna, Business Psychologist and Spiritual Life Coach; and Amlan Sahoo, Delivery Manger, Infosys. Hearing it from those who have established their footprints in their respective domains was stimulating. 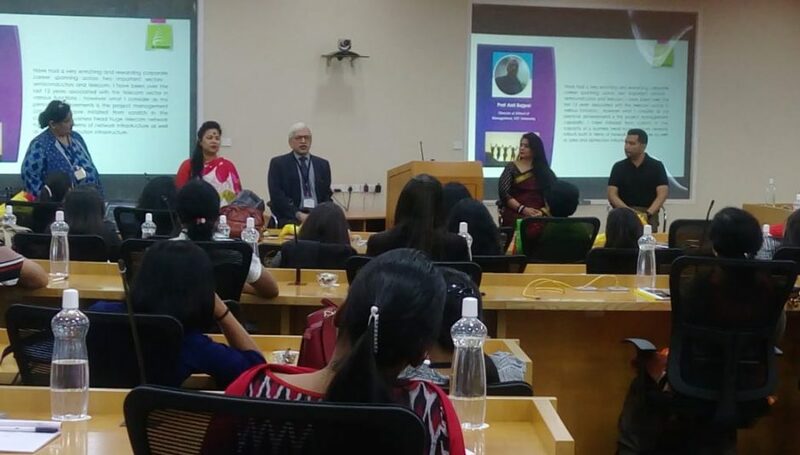 Dr. Renu Khanna (extreme R) , Learning Strategist and leading L&D Guru shared her insights and learning as the moderator of the session. To let the message seep right into the souls of the audience the members of Infosys Dramatic Society staged an impactful skit. Before breaking off to network over lunch, a fun quiz captivated the audience’s attention. Ms. Anshul Bafna’s workshop on ‘Build Smart’ kept the audience captivated till the end and still wanting for more. Coffee Buzz with Prof. Sanghamitra Jena, an accomplished singer and actress; along with Soumya Mohapatra, Head-Diversity & Inclusivity, Infosys, Bhubaneswar and the very popular RJ Smita enthralled the audience. The day concluded with Prize giving ceremony and valedictory function. The valedictory session was graced by the Infosys Bhubaneswar head Prabhat Kumar Das and the Head Diversity & Inclusivity Soumya Mohapatra. Winners of a competition Mavens & Mavericks which was organized on the sidelines of WPOWER 2019 were felicitated. The National HRD Network, established in 1985, is an association of professionals, committed to promoting the HRD movement in India and enhancing the capability of human resource professionals, enabling them to make an impactful contribution in enhancing competitiveness and creating value for society. The NHRD Bhubaneswar Chapter has been instrumental in holding several national and regional events. WPOWER is one of its flagship events. In 2014,the chapter was the winner of the prestigious “Best Chapter Award” in the backdrop of the National HRD National Conference in Mumbai.